Finding Healthy Christmas Recipes on Pinterest can be time consuming, so I've tried to make your task a little easier by listing 40 of my favorites below. Some belong to bloggers...some are personal boards of Pinterest users. All are terrific and inspirational. All In All Health ~ Holidays- Dishes, Desserts, Drinks, Eating Habits: Recipes, cooking tips, healthy choices, drinks, fun time with family, celebration during holidays, healthy eating habits, workout tips - Christmas, Easter, Thanksgiving. BeyondFit Mom ~ Healthy Christmas: Flatten your stomach, lose inches around your waist, and prepare both mentally & physically for a busy (yet healthy) holiday. Get a jump start on your new year’s resolution and your best body ever NOW! Christy Reeder ~ Thanksgiving & Christmas: Healthy recipes to consider for the holidays. Daily Burn ~ Healthy Holiday Treats: Healthier options for festive foodies. Deliciously Ella ~ Christmas Feasting: Delicious ideas for festive feasting! Wildly popular with 362.2k followers. Deliciously Ella is all about living a happy, healthy life! Detoxinista ~ Healthy Holiday Recipes: Sharing easy real food and allergy-friendly recipes for healthy living year-round. Naturally sweetened and gluten-free. Ditch The Carbs ~ Healthy Christmas Recipes: Low Carb, Gluten Free, Sugar Free, Grain Free, Healthy, Nutritious, Whole Food, Clean Eating and amaaaazing! LCHF, HFLC, Banting, Paleo and Primal friendly. Dr. Lisa Sulsenti ~ Healthy Christmas Kid Recipes: Healthy winter fun snack ideas at home, school and family holiday parties! Earth Balance ~ Vegan Christmas: Earth Balance and Made Just Right share plant-based recipes, vegan & gluten-free cooking & lifestyle tips, diet & nutrition advice, and more! Easy Peasy Life Matters ~ A Healthy Christmas: Easy tips on clean eating, healthy living organic gardening & more! First 5 LA Parents ~ Healthy Holiday Eats! : Healthy food and recipe ideas for the whole family for the Thanksgiving/Christmas/Hanukkah/Kwanzaa holiday season! Fit Foodie Finds ~ Healthy Holiday: Seasonal healthy holiday recipes. Gen Edelmann ~ Healthy Christmas: A delicious selection of holiday recipes. Get Healthy U ~ Healthy Holiday Recipes: Healthy holiday recipes to wow your family and friends this winter. You'll love all of these traditional holiday foods with a healthy twist. Georgina Bourdeau ~ Have Yourself a Healthy Christmas: A nice selection of healthy recipes for Christmas. Health Advocate ~ Christmas, Hanukkah and Winter: Healthy Ideas: Health Advocate™, a subsidiary of West Corporation, is the nation’s leading healthcare advocacy and assistance company serving more than 10,000 clients. Health Magazine ~ Healthy Holiday Food & Parties: Health motivates you to eat smart, stay fit, be happy, and live your best life. Healthy Aperture ~ Healthy Holiday Recipes: Favorite posts from HealthyAperture.com for a happy, healthy holiday season. Institute for Integrative Nutrition ~ Healthy Holiday Ideas: Sharing healthy recipes, gift ideas and more for your Thanksgiving, Hanukkah, Christmas, and New Year's Eve gatherings! Julie Holden ~ [Healthy] Christmas/New Year's: Army Wife. Mom. Dog Lover. Pinterest Fanatic! Kalyn's Kitchen ~ Healthy Christmas and New Year's Recipes: This board has healthy low-carb or carb-conscious recipes for Christmas or New Year's Eve. Kelly Eddy ~ Healthy Christmas Treats: Happy mormon veggie hippie momma. Kristi Rimkus ~ Healthier Holiday Recipes from Healthy Cooks: Healthy holiday recipes for Thanksgiving, Christmas, and the New Year. Lauren Rabadi ~ Healthy Holidays: Holidays are filled with over indulgence - but they can be healthy too! Lifescript Health For Women ~ Healthy Christmas: A women's health website bringing you top medical advice about diet, fitness, beauty, parenting, relationships, and health conditions. Life Senegal ~ Vegetarian / Vegan / Holiday / Christmas / New Year's: Recipes vegetarian - vegan. Life With T1 Diabetes ~ Christmas: Healthy, fun food for the kids and the whole family. Linda Carney, MD ~ Holidays- Thanksgiving & Christmas: Avoid the unwanted holiday pounds, by eating a healthy, whole-food, nutrient-dense, plant-based diet! Low-fat, sugar, salt & oil-free. Mother Rimmy's Cooking ~ Healthier Holiday Recipes from Healthy Cooks: Healthy holiday recipes for Thanksgiving, Christmas, and the New Year. Primavera Kitchen ~ Healthy Christmas Treats: Let's share awesome recipes and inspire people to make more homemade food and healthier dishes. Produce For Kids ~ Festive Holiday Snacks: Turning fruits & veggies into fun Christmas trees, snowmen & more for the holiday season! Real Fitness and Health ~ Healthy Christmas- Recipes, Fitness, Tips and more: This guest-worthy menu of healthy Christmas dinner recipes is loaded with flavour — not calories or fat.Fool proof your holiday season. Real Food Real Deals ~ Healthy Christmas Recipes: Fill this festive time of year with delicious, healthy recipes for adults and kids. Special cookies and treats complement the Christmas dinner table, and homemade food gifts make this season extra special. Shrinkingguy ~ Healthy Christmas: Make this Christmas (and holiday season) a merry and healthy one with these great food ideas, recipes, and other ideas. Skinny Mom ~ Healthy Christmas Dinner: A board full of healthy holiday recipes, for Christmas or any time of the year! SparkPeople ~ Holiday Recipes: Nutritious can also be delicious! Texas Heart Institute ~ Healthy Holiday Ideas: Healthy food and activity ideas for Christmas, Halloween, Fourth of July, and other holidays. 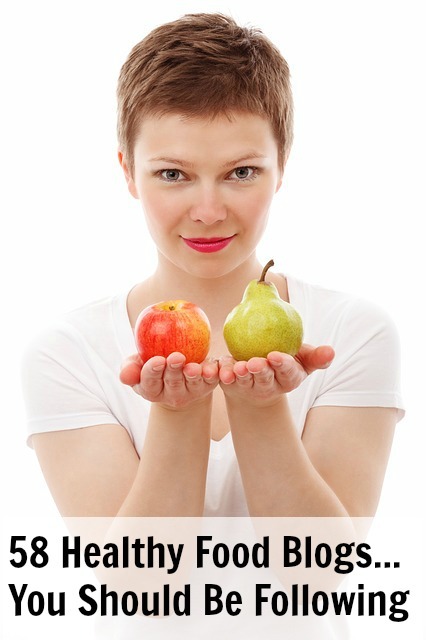 The Nutrition Mom ~ Healthy Christmas Ideas: Food & Lifestyle Expert offering Simple-Healthy-Solutions. The Vegan Review ~ Vegan Christmas: Deliciously vegan recipes for Christmas. Trim Healthy Momma ~ THM/Low Carb -Christmas and Winter Time-of-The-Year Foods: Recipes that are already THM (Trim Healthy Mama) and Low-Carb friendly .. or ones that look "tweakable" into being made compatible with those ways of eating. 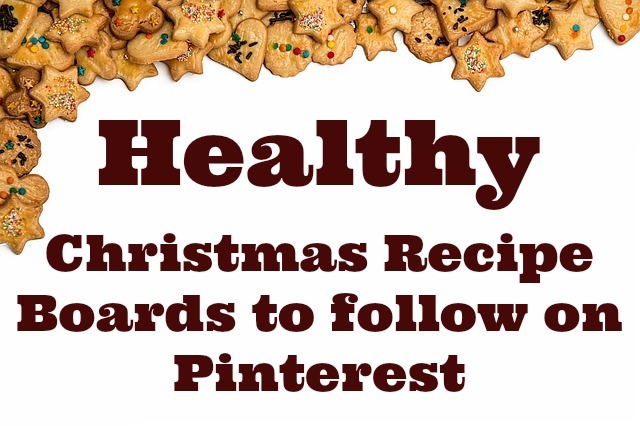 So those are 40 of my favorite go-to Healthy Christmas Recipe boards. What boards do you follow and what is your favorite type of recipe to pin? Cookies? Entrees? Sides? I’d love to hear your thoughts in the comments below! Thanks for the shout-out; I'll share your list on all my social media platforms! Thanks, Kalyn! I'm a huge fan of your blog → http://www.kalynskitchen.com/.